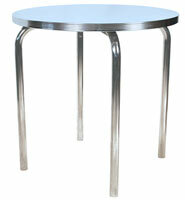 This is our American Made wide V Back diner chair. 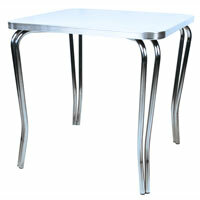 The chrome chair can be finished with a 2" box seat, a 2" waterfall seat, or a 1" pulled seat. 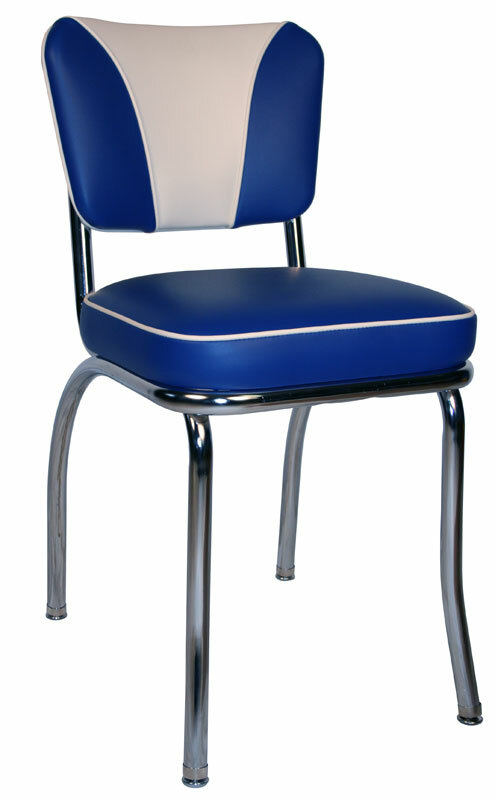 The chair is pictured with a 2" Box seat and is upholstered in US 354 Royal Blue with V back and piping in US 394 Adobe White. 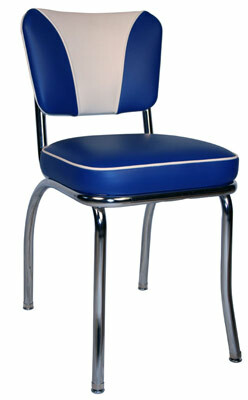 The wide V diner chair is a new version of the classic V back diner chair. The wide v diner chair gets wider at the top than the traditional v back diner chair. It also features a slight curve in the V rather than the standard straight lines. 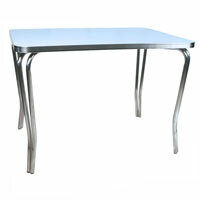 Our chairs use an all welded steel frame and require no assembly. Just open the box and your chairs are ready to use. If you don't see the color you like, please give us a call and we'll special order any color you like. 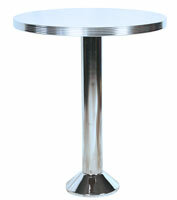 Barstools and Chairs' hand upholstered diner chairs are strong and durable. 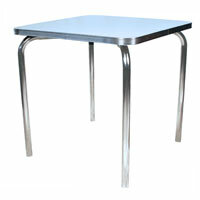 With our 14 gauge steel frame, our diner chairs are the strongest in the industry. 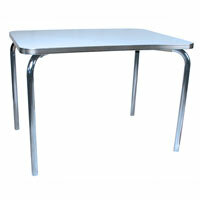 Diner chairs are perfect for restaurants, cafes, diners, and homes. They work for anyone trying to capture that 50s look.